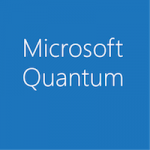 To gain a broader understanding of quantum computing, check out this comprehensive overview from Microsoft Quantum Architect Dave Wecker. You’ll learn how quantum computing is different from classical computing, the types of problems a quantum computer can solve, and what makes topological qubits so unique. This video starts with the basics and continues into deeper topics such as quantum gates, algorithms, and T factories. You’ll also get a brief preview of quantum teleportation, matrix algebra, and Q#, the quantum-focused programming language available in the Microsoft Quantum Development Kit. Serving as an intro to the Microsoft quantum computing effort, this video makes an excellent primer for understanding what’s involved in the journey toward scalable quantum computing.